A young woman invited her friends to go camping in the country for a weekend of exploring, climbing and fun. On Sunday afternoon they packed up their gear, threw it in the car, and jumped in ready to leave. Only, when she tried to start the engine, all she heard was a “click!”. Then she remembered – she was using the car headlights the night before to help light up the campfire. Dead car batteries are one of the most common problems that drivers experience. In fact, millions of drivers find themselves stranded every year because their car battery is dead. If you find yourself hearing that “click!” don’t get frustrated or despair. The good news is so long as you know what you are doing you can quickly and safely get your car going again and the battery charging with a jump start. A car with a working battery – in the case of the young stranded lady and her friends, her best bet is to find the nearest person with a car, such a forest ranger. A jumper cable set – do not assume that the other driver will have a set of jumper cables. If you don’t have one already it is high time you went out and got yourself one. Rubber gloves and safety goggles, especially if this is the first time that you are doing a car battery jump start. A wire brush, a rag or paper towels to clean out clogged terminals. Check your jumper cables to make sure no wires are exposed. 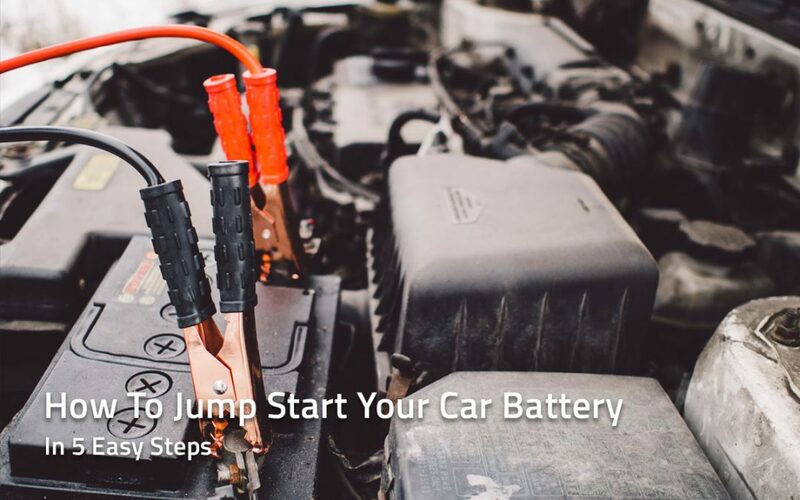 If they are not completely encased, don’t try jump starting or you may give yourself a nasty electric shock. Check your car battery for any leaks or cracks in the casing. If your battery displays any of these issues it is best to leave the car where it is and have your mechanic come out and fetch it or call your favourite emergency breakdown service. Do not smoke near your car as you attempt to jump start the battery. Don’t lean on either car during the jump start or you may electrocute yourself. Don’t touch the batteries either as they are actively conducting current. It’s not a good idea to jump start your battery if you suspect that the liquid in it is frozen – it could explode and hurt you. It’s a good idea to get rid of jewellery that may come into contact with the battery or jumper cables such as rings and necklaces. Move the working car so it’s close to the yours with the dead battery. It should be close enough so that the cables can reach both cars without any problems. They should hang loose, not taut. The cars should not touch at all. Turn off the engine of the working car. Unplug anything that you have connected, such as DVD players, phone chargers and anything else that uses your car battery. If you attempt to jump start with these devices still plugged in you may not have enough juice for the job. Pop the bonnets of both cars and check for any damage to either battery. If any of the battery terminals are corroded then bring out the wire brush and towel. Scrub the affected terminals with the brush and then wipe off using the towel. Repeat until clean. If your battery is cracked or leaking start looking for an alternative means of transport. Don’t ever attempt to jump start your car battery when it’s in this condition! Attach the jumper cable clamps to the terminals of both batteries, firstly the red cables to the positive terminals then the black cables to the negative terminals. It is very important to make sure that the clamps only touch the terminals of the batteries otherwise if they touch each other or metallic parts of the car an electrical current will flow throughout the vehicle and sparks may fly! Turn on the car with the good battery and let it run for a couple of minutes. Then start your car with the dead battery. If it still doesn’t turn over, wait a couple more minutes. When your dead car has started, let them both run for about five minutes and then carefully remove both jumper leads. The engine of your dead car will now be running and you’ll be able to continue on your way. If the battery was completely dead, make sure you drive for at least 20 minutes before switching off your car again to ensure it has charged enough to allow it to start again. For further advice on car batteries and charging, come and ask our friendly team in our retail outlets, or send us your question on our contact page!